The craze of liquid lipsticks doesn’t seem to be dying down anytime soon. They’re my go-to for both every day and special occasion looks. Liquid lipsticks tend to be longer lasting and super pigmented, and I’ve personally found the shade ranges to be more expansive. For the past couple years, there have been very few makeup launches that didn’t include liquid lipsticks. Though, there are several that have risen above the rest with superior formulas at awesome prices. 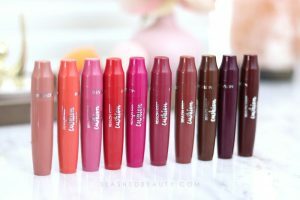 I have tried a ton, and have been able to narrow down the very best budget-friendly liquid lipsticks that I trust as the cherry on top of any look. Keep reading to discover my updated list of the best drugstore liquid lipsticks, or at least ones with drugstore prices. This is a new release, but it quickly became one of my faves upon my first test. The Maybelline Super Stay Matte Inks go on completely opaque in one swipe with smooth, even coverage. I absolutely love the applicator, which comes to a tapered point that makes lining the lips really easy. The reservoir within the applicator holds extra product so you don’t have to double-dip. These last all day, throughout several meals on me with only a little bit of wearing off around the inside. While they’re only available online, these are definitely worth trying. The Be Matte Liquid Lipsticks are very creamy and dry down to a true matte finish. They last hours and hours on me, though touching up is easy because of the smooth texture. You can get 10% off with the code SlashedBeauty on their website! See swatches of all the shades here. One of my favorite drugstore liquid lipstick formulas, the Jesse’s Girl Matte Finish Lip Color has a very thin texture that applies incredibly easily. It feels thin on the lips, so it dries down quickly and doesn’t feel heavy. This one can be a little drying, but it’s for true matte-lovers. Just be sure to exfoliate and moisturize beforehand. These caused quite a stir when they were released, simply because many people disagreed that they were matte at all. I’ll admit, they’re more of a satin finish though they dry down more thoroughly after a few hours. Either way, I love them. The Ultra HD Matte Lipcolors are pigmented, smooth and easy to apply. Most importantly: they’re comfortable and never make your lips feel dry. See swatches of all shades in the original release here. The cult favorite of most makeup lovers, ColourPop is the reigning leader in affordable liquid lipsticks. However, I do prefer their Ultra Satin Lips vs. the Ultra Matte Lips. I find them to look and feel better on the lips, while still giving you long lasting color. We recently learned that ColourPop will be landing at Sephora soon, which is incredibly exciting! The NYX Liquid Suede Cream Lipsticks are smooth, vibrant and soft on the lips. The waterproof formula gives them a long-lasting finish that sets matte— however, it’s never drying! I find that you need to reapply after eating, though you won’t experience too much transfer. What really sets this line apart is the shade range. There are standard colors like reds and nudes, but also bold blacks and blues! 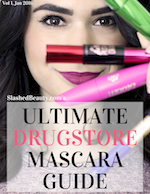 What are your favorite drugstore liquid lipsticks? I bought the Wetnwild liquid lipsticks and do like them also one Colourpop, one Nyx but find a bit messy to apply and do use my lip brush to even it out. It tends to come out of border of lips and leave some on drinking glass. I will be sticking to regular lipsticks in the future. Sounds like you may be putting too much product on! Which one was messy for you? All of them?